Since 1998, Josh MacPhee has commissioned and produced over one hundred posters by over eighty artists that pay tribute to revolution, racial justice, women's rights, queer liberation, labor struggles, and creative activism and organizing. Celebrate People's History presents these essential moments--acts of resistance and great events in an often hidden history of human and civil rights struggles--as a visual tour through decades and across continents, from the perspective of some of the most interesting and socially engaged artists working today. 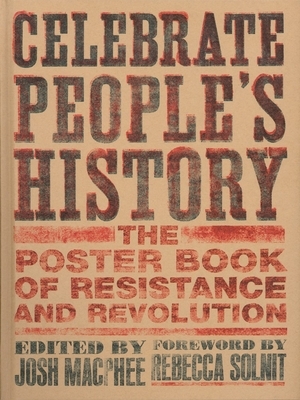 Celebrate People's History includes artwork by Cristy Road, Swoon, Nicole Schulman, Christopher Cardinale, Sabrina Jones, Eric Drooker, Klutch, Carrie Moyer, Laura Whitehorn, Dan Berger, Ricardo Levins Morales, Chris Stain, and more. Josh MacPhee is a cultural worker living in Brooklyn, NY. His activities often revolve around themes of history, radical politics, and public space. His books include Signs of Change: Social Movement Cultures (co-edited with Dara Greenwald), Paper Politics: Socially Engaged Printmaking Today, Reproduce and Revolt (edited with Favianna Rodriquez), and Realizing the Impossible (edited with Erik Reuland). He also is a member of the political art cooperative Justseeds.org and a co-editor of Signal: A Journal of International Political Graphics.